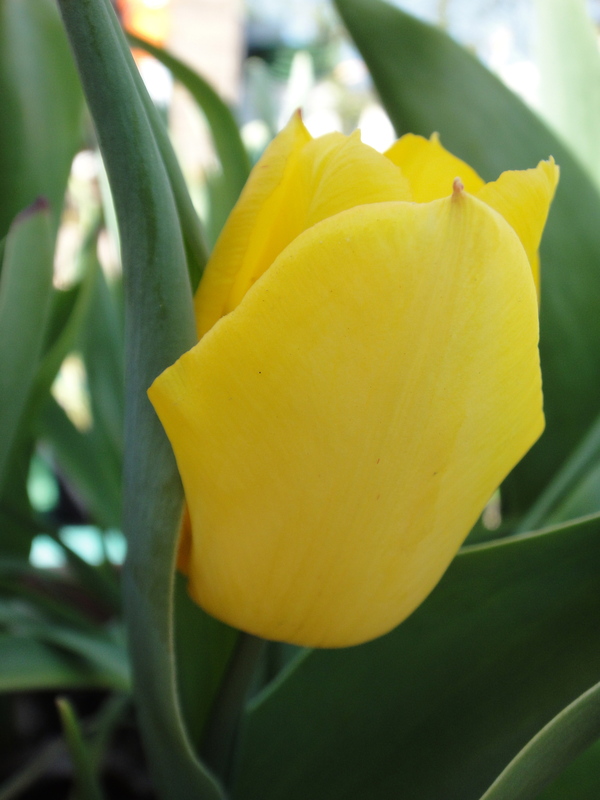 Wordless Wednesday: Where have you gone to spring? 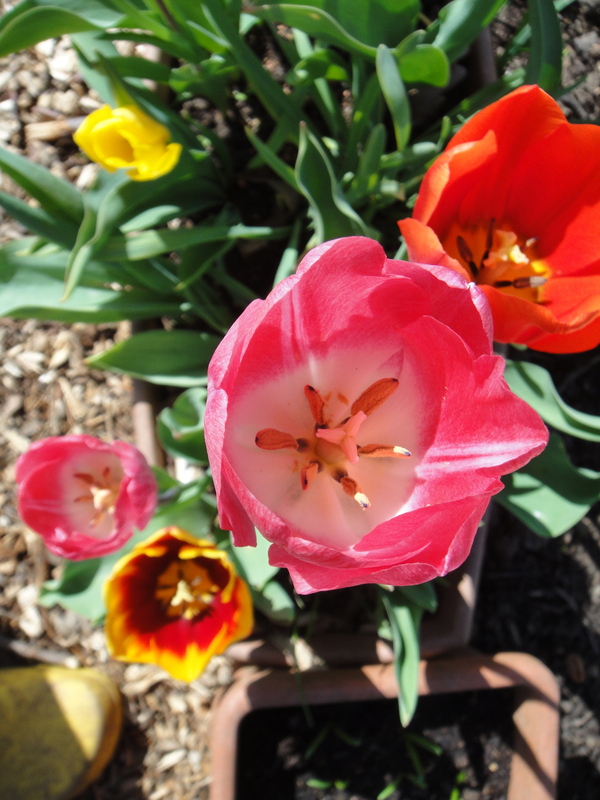 Author Crafty Garden HoePosted on March 20, 2013 March 20, 2013 Categories Flowers, Spring, Spring Bulbs, Uncategorized, Wordless WednesdayTags Bulbs, flowers, Spring, Spring Equinox, Wordless Wesnesday2 Comments on Wordless Wednesday: Where have you gone to spring? 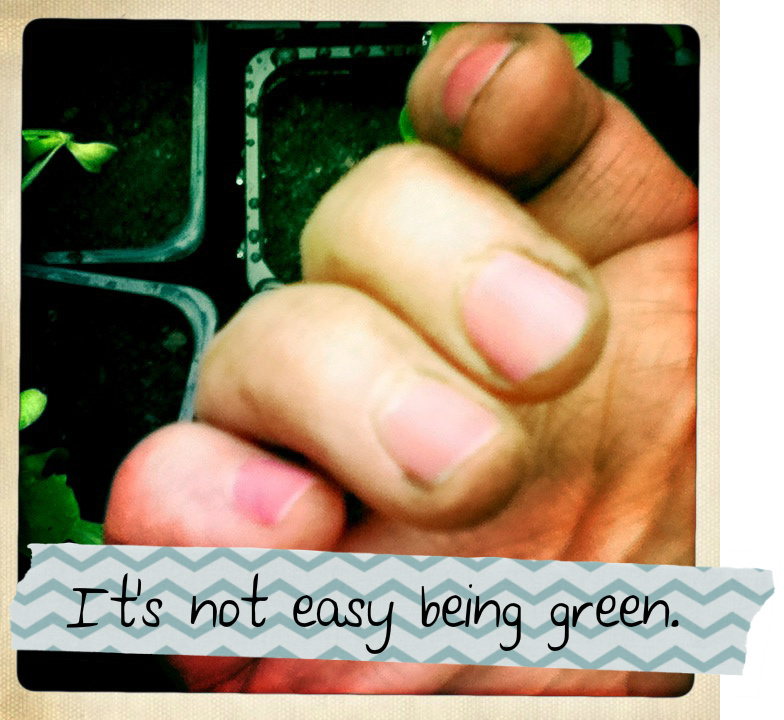 The Ups and Downs of Being a Throughly Modern Allotmenteer. Hello. My name is Emma. I live and work in London. Rent a small one bedroom flat with my boyfriend. Like many people our age we do not own our own home and have no outdoor space. And we are allotment holders. I’m pretty sure were not alone. 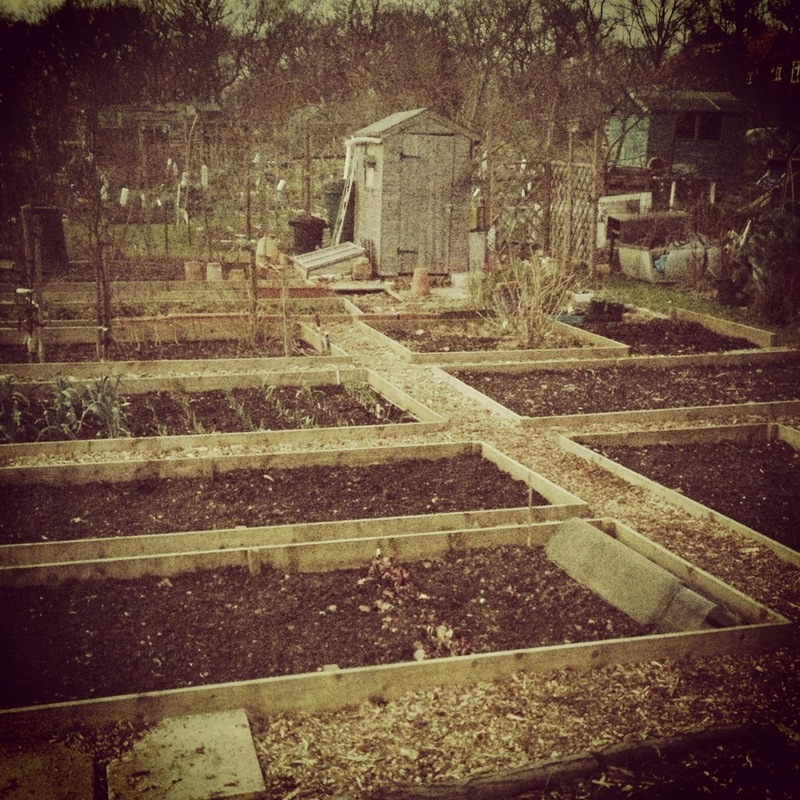 Allotments have seen a massive boom in past decade. Everyone wants to grow their own. Waiting lists across the UK are fit to burst. Our site alone has a closed waiting list with a predicted wait of at least 5 years. Things are changing fast. Allotment tending is no longer the preserve of the retired gent. With their rows of leeks and tatties. Much to the initial confusion of the ‘old boys’, younger people are taking over the neglected plots. It’s not easy, many drop out. Those that stick at it, like ourselves are head over hills with allotmenteering. Author Crafty Garden HoePosted on June 18, 2012 December 26, 2013 Categories Allotment, gardening, Lottie, Planting, Seedlings, Seeds, Sowing, Spring, VegetablesTags Allotment, grow your own, rain, seeds, Sowing, Spring, VegetablesLeave a comment on The Ups and Downs of Being a Throughly Modern Allotmenteer. 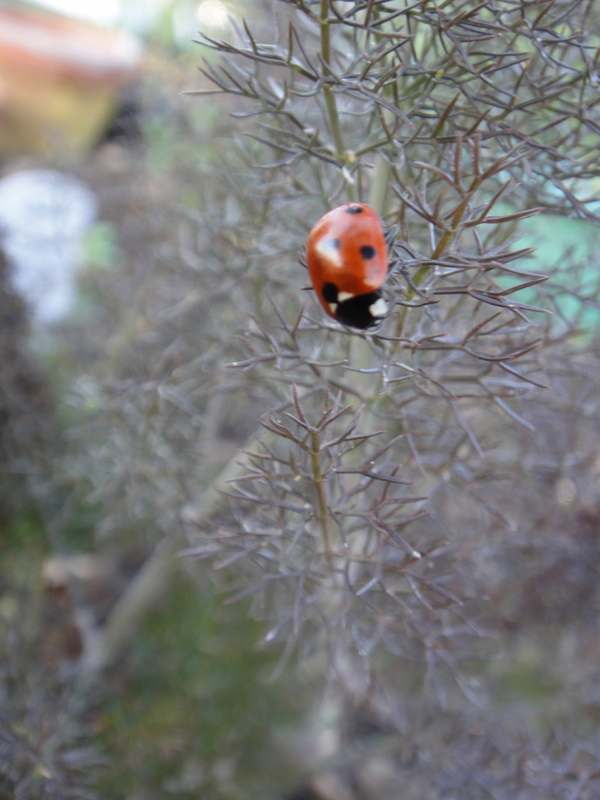 One of my favourite gardeners friends are the Ladybird. I’ve been pleased to see so many already busying themselves on the plot. And for some reason they were REALLY digging the Fennel. 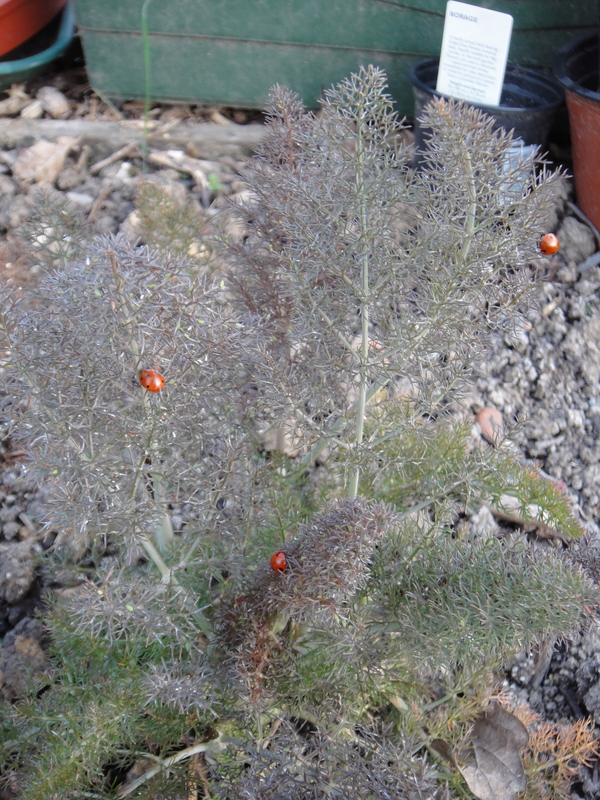 Turns out that Bronze Fennel in particular like pictured is important for our early emerging 3 spot ladybugs. 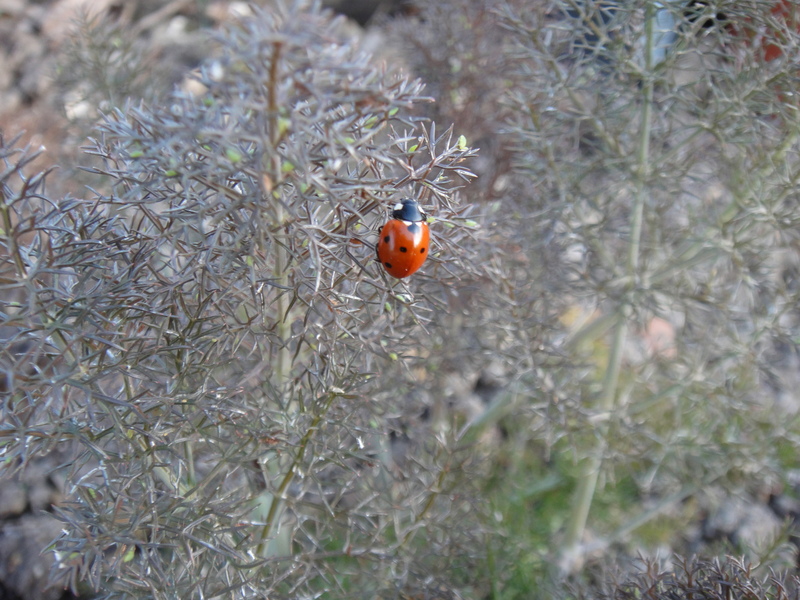 Plants like Bronze Fennel are prime aphid and ladybug attractor which also include dill, coriander, caraway, tansy, yarrow, wild carrot, coreopsis and scented geraniums. 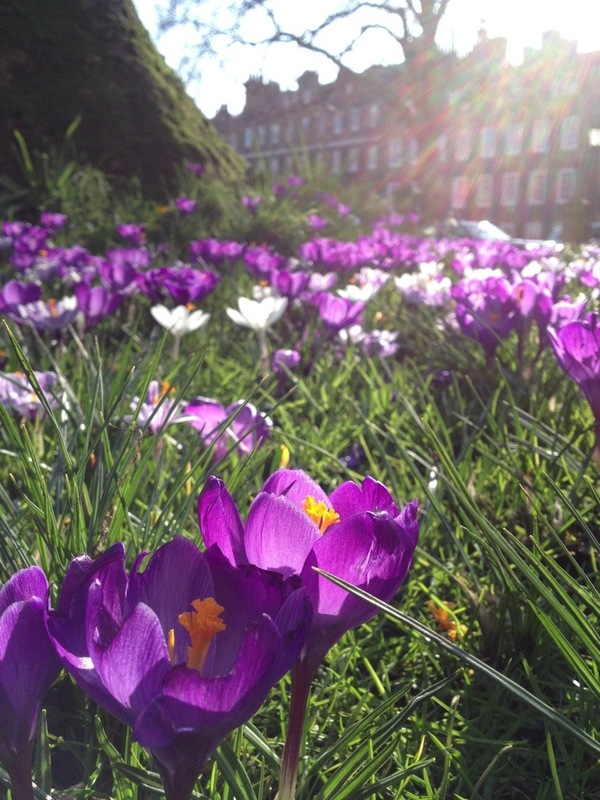 Are you doing your bit to look after your Garden Friends? 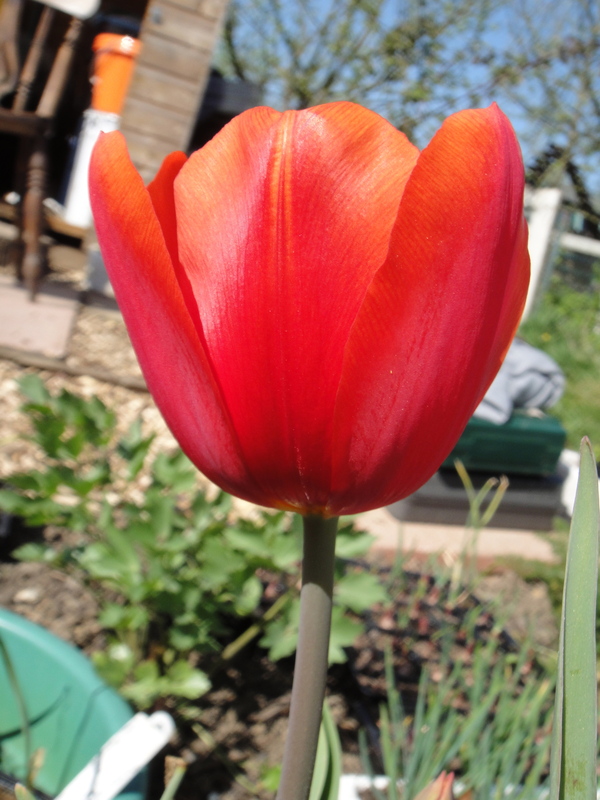 I’ve always put Tulips in the same category as Camelias, gaudy bedding flowers and pampas grass; a bit naff and biddy-ish! Until now that is. 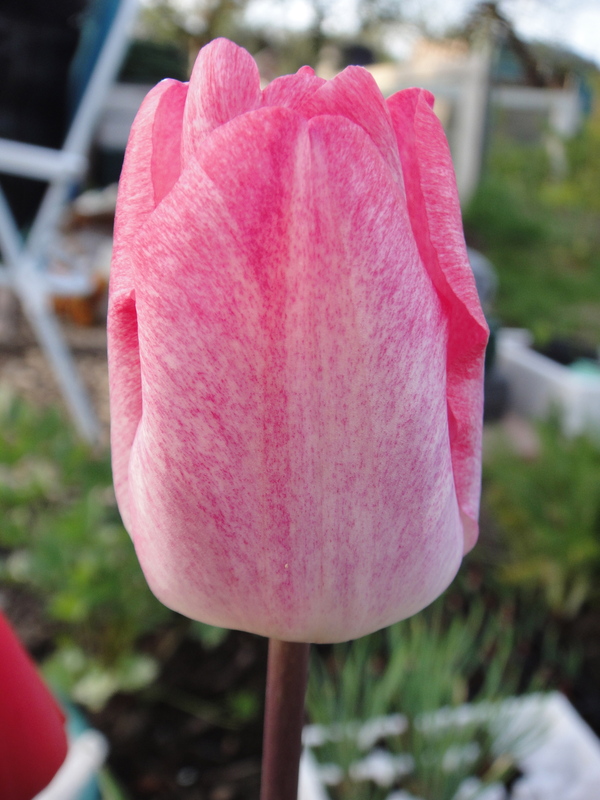 I received a bag of mixed tulips from Sutton seeds with my order of Blueberry bushes that I half-heartedly stuffed into an old trough and forgot all about. 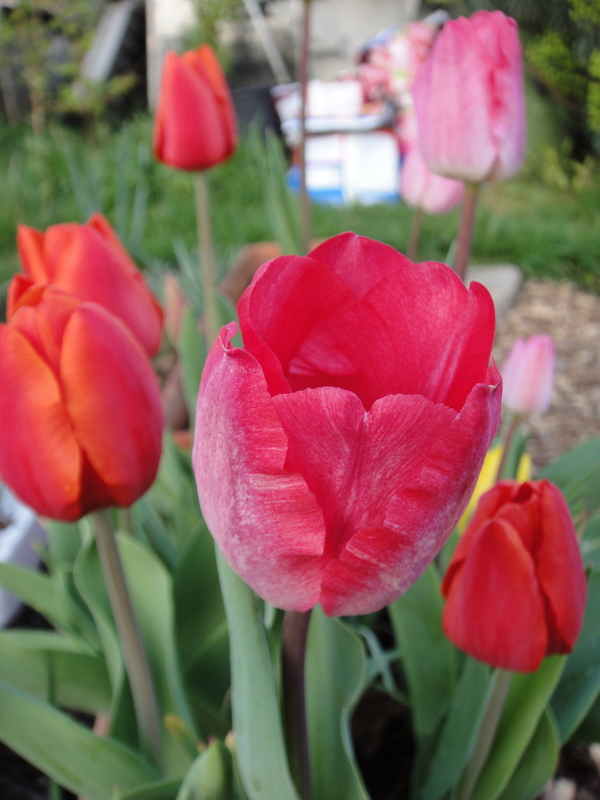 Somehow they survived the tulip radar of the Squirrels and emerged this Spring un-munched. 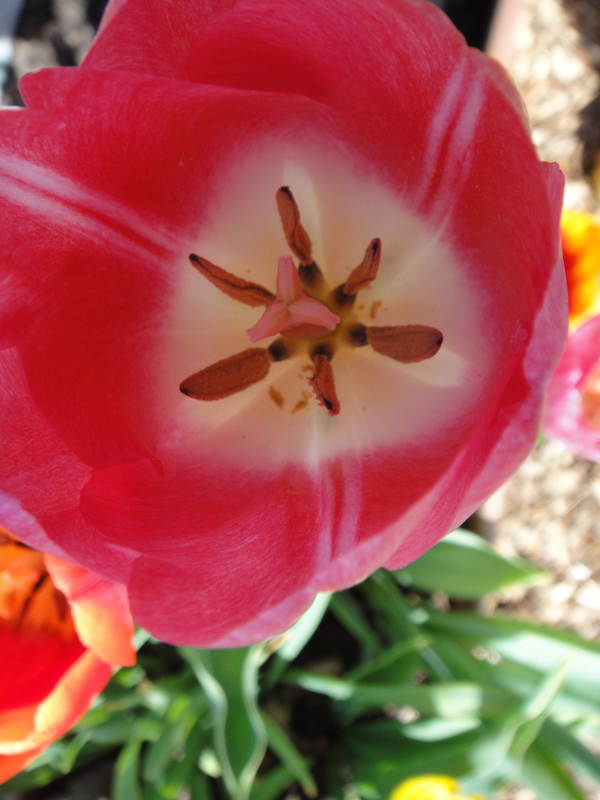 In that lovely way nature rarely clashes it colours randomly they turned out to be a nice mix of red, pink with a lone yellow that looks quite fetching. 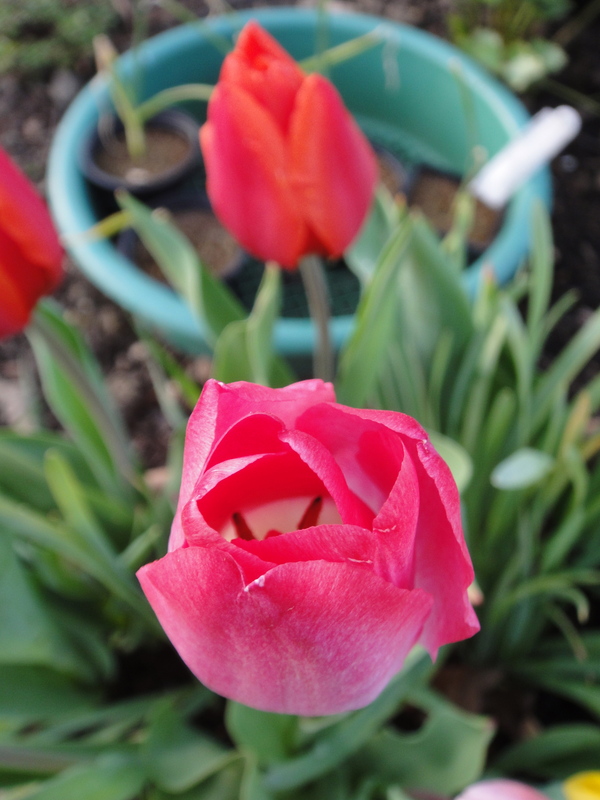 Now that the first official day of Spring has been and gone, the temperatures rising, the birds are singing and the dastardly weeds are rearing their heads again. Down the allotment everything is waking up and stretching free of the earth stirred by lengthening days. After what seems like weeks, no months of overcast cloudy non-weather this weekend was glorious! 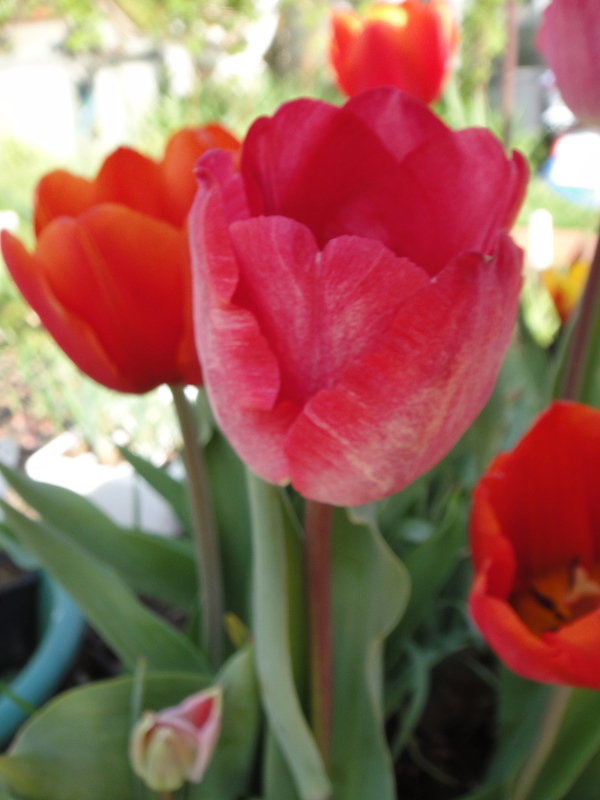 The sun shone brightly the breeze was gentle and soothing. Perfect if only all allotment days where like this.